Advertisers know that the taste of a better lifestyle will sell products. Celebrities learn this as well, and can make a killing putting their name on something that can impart even a little of their charm on a fan. These beverages just might be the perfect gift for a fan that you know. Musician Marilyn Manson, a longtime absinthe fan, partnered with Markus Lion and Swiss distiller Matter-Luginbühl in 2007 to create his signature liquor called Mansinthe. Manson took a hands-on approach to the development of the product and tested it for quite some time before approving the final product. Reviewers rate it between average and rather good. Making a “health drink” out of vodka is an exercise in cognitive dissonance, but then again, so is “reality” TV. Devotion Vodka resulted when New Jersey native Drew Adelman combined vodka with a protein supplement and formed a partnership with Mike Sorrentino to market the drink. Sorrentino goes by the name “The Situation” in his role in the TV series Jersey Shore. He also manages a fitness club. Devotion Vodka is promoted as low calorie, sugar-free, and gluten-free. The tagline for the vodka tells us it is “infused with casein” (brand name PeptoPro®). Casein is a material derived from milk that is used to make pizza cheese, paint, glue, and protein supplements. Crystal Head Vodka looks exactly as you would expect: a bottle of vodka in a glass skull. Crystal head is a collaboration between actor Dan Aykroyd and artist John Alexander, who are both interested in the paranormal aspects of crystal skulls. The vodka itself is filtered through quartz crystals. The bottle actually came before the vodka -in fact, the original plan was to put tequila in it! Aykroyd already had a deal to import Patrone tequila to Canada, so vodka was selected instead. That it was launched in 2008 was supposedly unrelated to the 2008 movie Indiana Jones and the Kingdom of the Crystal Skull. Those who have paid around $60 a bottle tend to treasure the skull more than the spirit. Image by Flickr user Kevin Takaki. 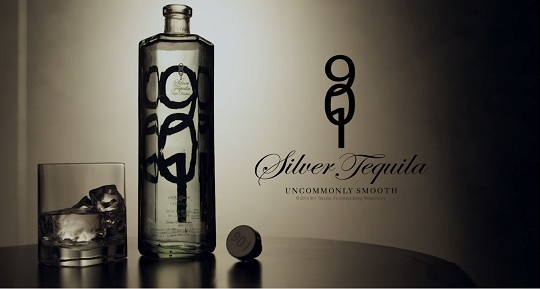 Launched in 2009, 901 Silver Tequila is named for the area code of Justin Timberlake’s hometown, Memphis Tennessee, but it is marketed to remind people of 9:01 PM, the time to drink tequila. Timberlake’s name does not appear on the bottle, but he founded the product, which is manufactured by Tequilera Newton in the heart of Jalisco, Mexico. 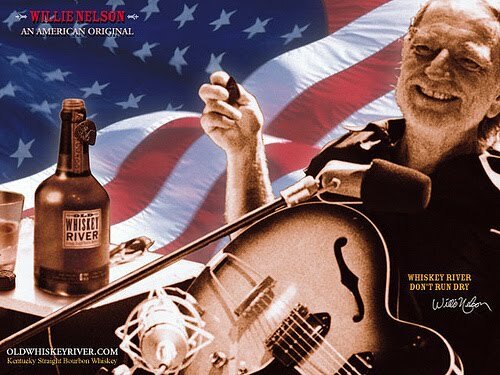 One of Willie Nelson’s most popular hit songs is “Whiskey River,” which inspired the name of his Old Whiskey River Bourbon, launched in 2001. Produced by Heaven Hill Distilleries in Kentucky, the 6-year-old Bourbon is distributed by Drinks America. Each bottle comes with a guitar pick, and part f the proceeds go to Farm Aid. 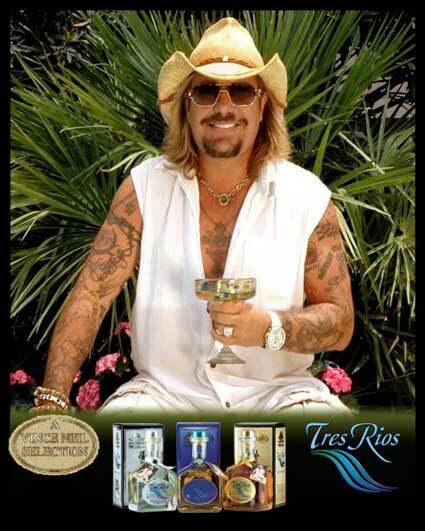 Vince Neil of the band Mötley Crüe introduced his Tres Rios Tequila in 2007. Although the Tres Rios site is no longer there (but still linked on Neil’s website), the tequila is still sold in stores. Limoncello is an Italian dessert liqueur made from lemons. 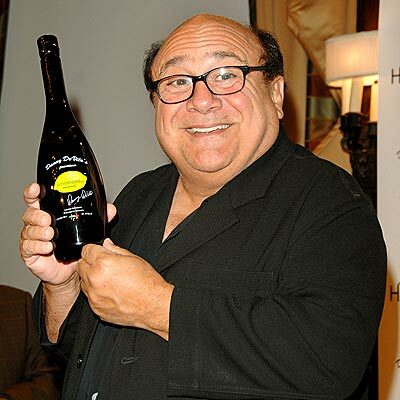 Danny DeVito’s Premium Limoncello may have come about as a joke after he (jokingly?) blamed a strange 2006 performance on a TV talk show on too many limoncellos. It was only a few months later that his personal brand of the drink debuted. It is possible that the entire event was a marketing ploy, but most likely it’s an example of life handing him lemons and DeVito making limoncello out of it. It compares well with other brands of limoncello, but comes in a frustratingly opaque bottle. The original website promoting the product is either defunct or under construction, but it is still available at a liquor store near you. 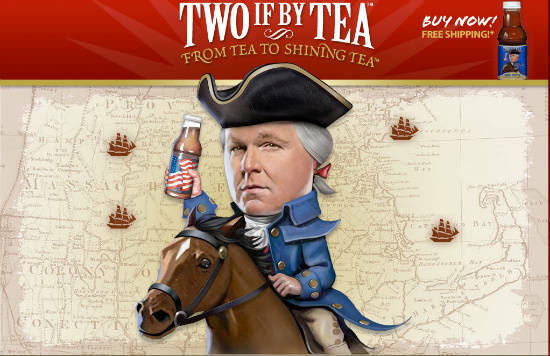 In June of 2011, conservative pundit Rush Limbaugh introduced a bottled sweet tea called Two If By Tea. The product site is full of Tea Party and tea puns. The tea comes in regular and diet plus raspberry flavor -no alcohol here. The drink is only available online, but you can order in large quantities. 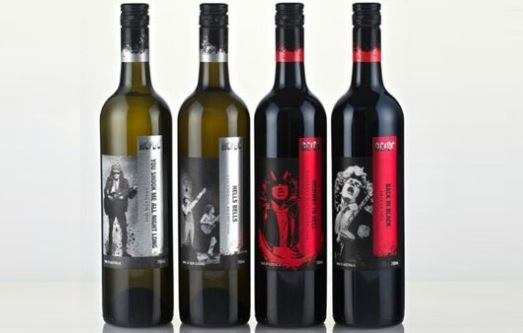 The Rolling Stones, KISS, Motorhead, and Whitesnake have all released wine collections. In fact, signature wine is such a popular investment choice for celebrities that I decided to stop the list here. You can learn more in the post 10 Celebrities Who Own Wineries. I also passed over quite a few celebrity beverages that appeared to be simply endorsement deals for existing products. Learn about the founders of some classic potables in The Men Behind Your Favorite Liquors.